The production of medals for major sporting events is nearly always handled by the countries main coin mint. They are nearly always stamped for speed and cost efficiency- Could this be challenged? The brief and proposal I created proposed a radical rethink of how medals could be made with design being the key feature. 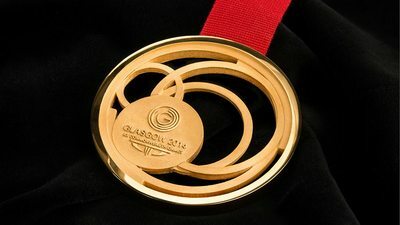 What followed was an intensive 15 month research project which looked at how a core team of 12 academics and technicians from GSA could create medals that would better represent the city of Glasgow and deign possibilities. The original proposal slideshow by Jonathan Boyd. Medal Reflection slideshow by Helen Mariott.